The Bible Family Farm, located in Rancho Santa Fe produces local grown pomegranates for the San Diego County direct to table market. We have 300 young pomegranate and 120 young olive trees. 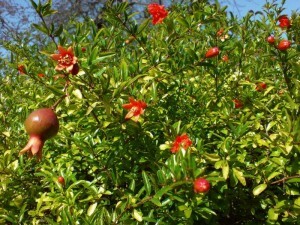 We are already harvesting pomegranates for the fresh produce market, pomegranate wine and pomegranate vinegar. You will be able to find us in the fall of 2016 at the local farmers markets in Fairbanks Ranch and Encinitas. We can supply restaurants with fresh pomegranates when in season. Our olive trees are not young and will not be producing for another year. 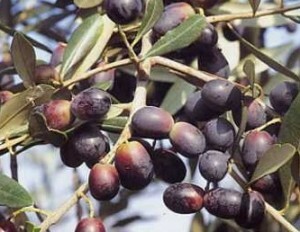 We plan to blend olives for a premium virgin oil. In season, we can deliver to your restaurant in the custom quantities that you need. Payment is required on delivery. Our delivery area is a 15 mile radius around Rancho Santa Fe, if your restaurant is nearby, give us a call or send an email. Copyright Bible Family Farm, 2010-16; All rights reserved.